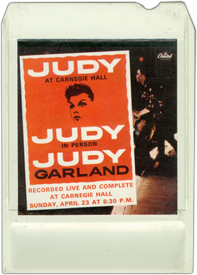 April 23, 1961 - a legendary night not only for Judy Garland, but for the entertainment industry in general. This night, attended by the normal folks and the glitteratti of show business, has gone down in history as one of the greatest nights in show business. 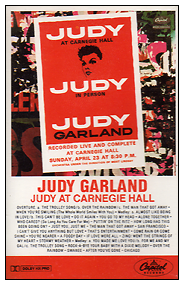 Judy was in perfect shape both vocally and performance-wise. The creme-de-la-creme of show business were there, and all were "reaching out to touch Judy Garland" as Rex Reed would state years later. All who were there would talk about it as if it were a revival of some sort. Capitol wisely decided to record this concert. The two-record set would spend 95 weeks on the charts, 13 of those weeks at #1. 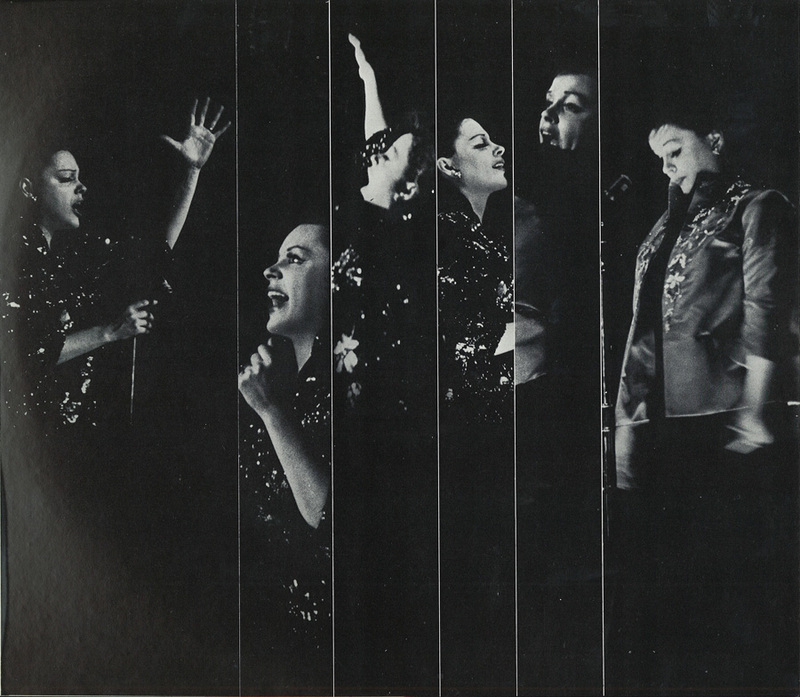 The record would garner FIVE Grammy Awards: Best Solo Vocal Performance, Female; Album Of The year (the first time an album by a female artist or a concert recording won this award); Best Album cover; Best Engineering Contribution, Popular Recording; A Special Artists And Repertoire Award given to the set's production Andy Wiswell). The album made its CD debut in 1987 when Capitol released an abridged version. The outrage from fans was such that the label released a 2-CD set in 1989 (#C2-90013), complete with most of that previously unreleased dialog. 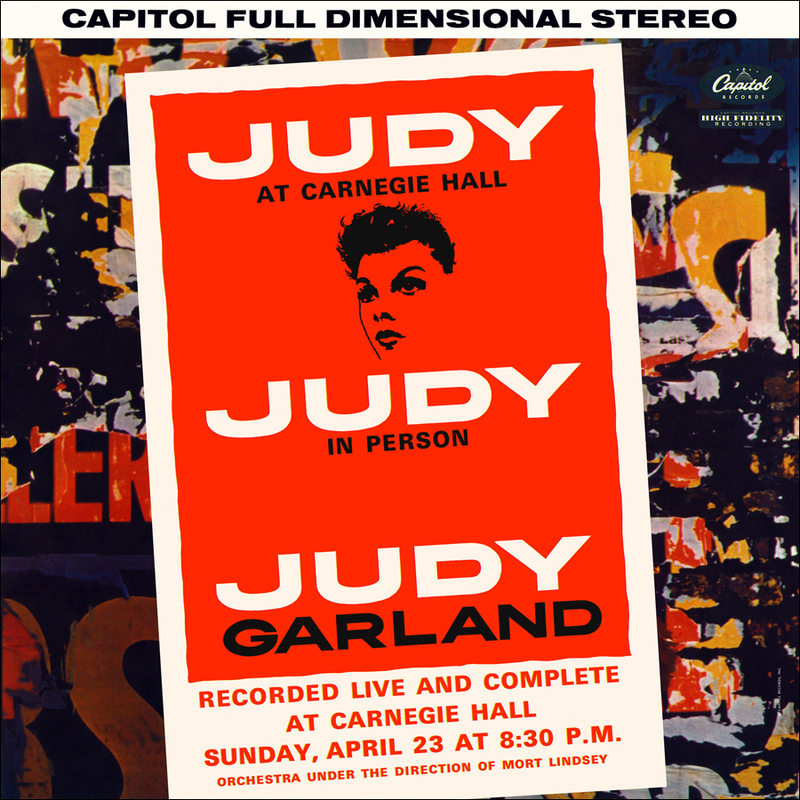 In March 2000, the complete concert (including all of Judy's stories and chatter to the audience) was released by DCC Compact Classics. 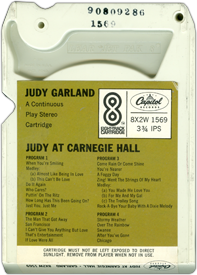 This 24 karat 2-CD set presented the concert as recorded through the microphone that night, with no auditorium reverb added. All the songs were presented in the order of the concert. 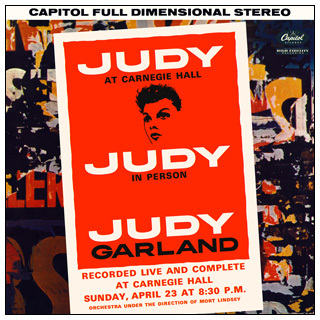 The difference between this and the DCC Compact version is that this Capitol version has the added "hall" sound, whereas the DCC version presents the sound as recorded in Judy's microphone. This results in a sound that places Judy's voice front and center, with the rest of the hall in the background. It's a matter of taste as to which one a fan prefers. Album cover restoration provided by "Alex in Belgium". Thank you Alex! Be patient - the videos may take a few seconds to fully load. parts of which were used in the tribute video.